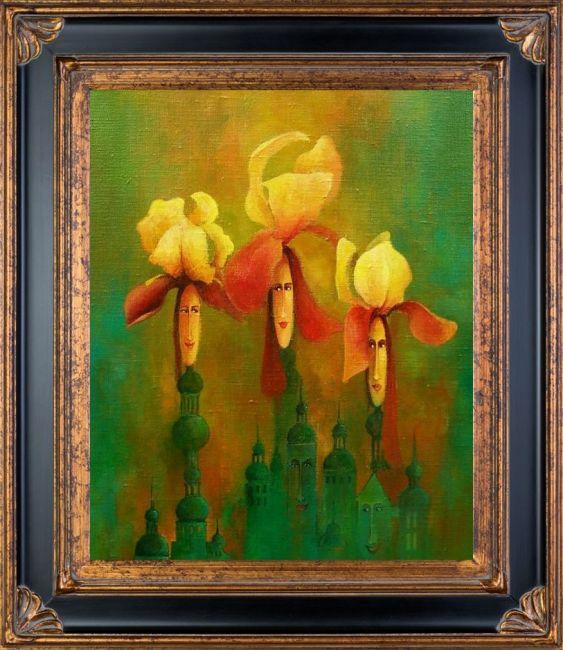 Constantine Frame 20" X 24"
20" X 24" High Quality Canvas Print Iris Ladies II is a beautiful painting by contemporary artist Krzysztof Lozowski. 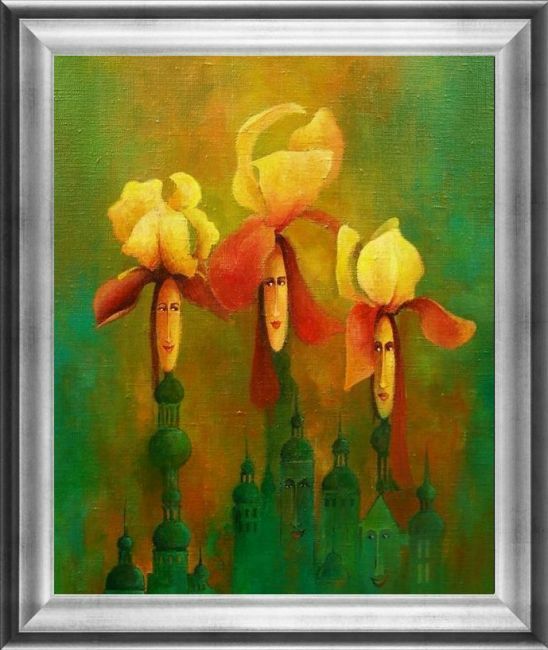 Enjoy the beauty and color of this painting reproduced as a fine canvas print. Krzystof Sylwester Lozowski is a freelance artist currently living in Warsaw. He was born in Sosnowiec in 1970. After finishing the State School of Fine Arts in Katowice he attended the Art College in Bielsko-Biala, where he pursued studies in Film Animation. 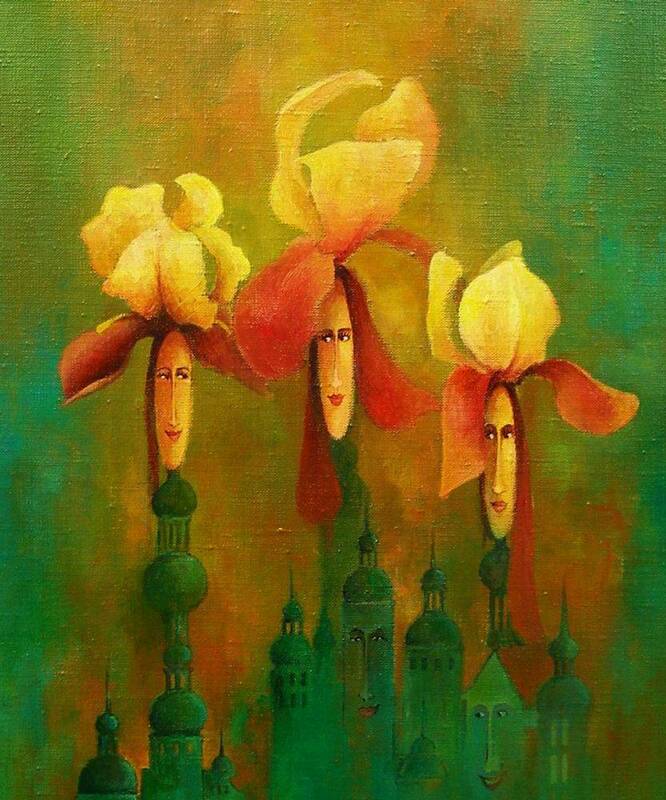 To further his training he earned a degree in Visual Arts from the Education Academy in Katowice. 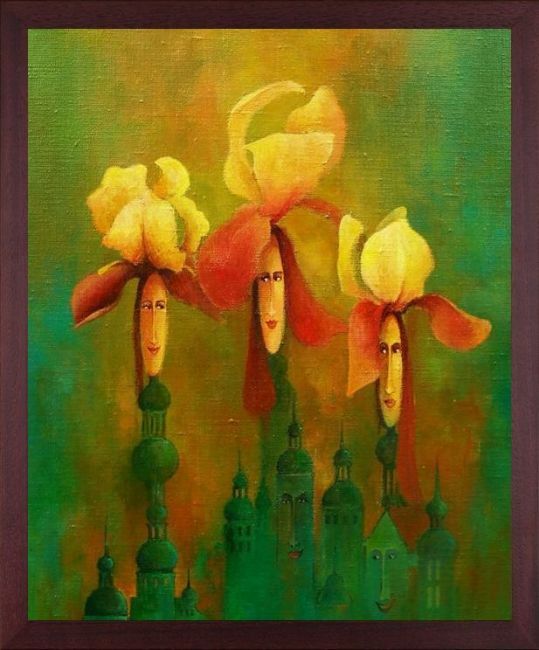 From 1993 on, he studied painting and drawing at the Silesian University, Fine Arts department, and graduated in 1998. 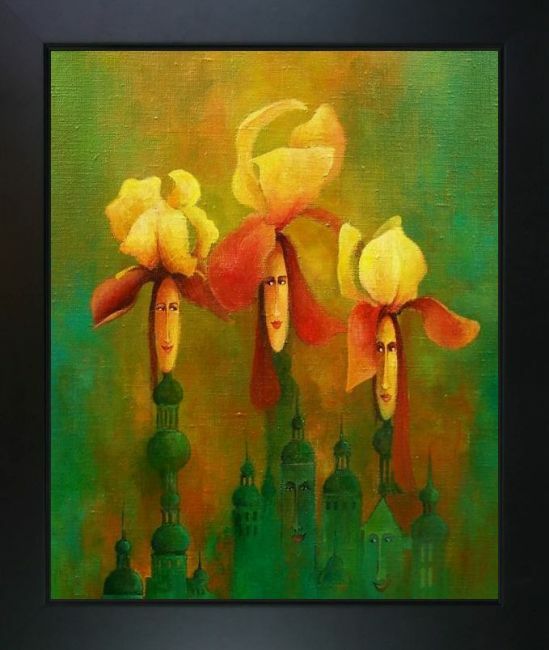 He creates oil paintings, drawings, watercolors and posters. Among the artist's output there are also excellent cartoons of celebrities from the world of theater, music, politics and cabaret. His works have been presented in many individual and group exhibitions both in his country and abroad. In addition, his artworks can be found in private collections, for example in Germany, Great Britain, Switzerland, Norway, Belgium, Austria, France, Greece, the United States and Japan. Color Palette for Iris Ladies II is empty.